Today, I will start writing about some books, articles, and sources of information about Lean & also 6 Sigma. Since I´m close to 1000 visits to this blog, and I´m super excited, wanted to share with you my thoughts on The Checklist Manifesto by Atul Gawande. I came across this book, because I was struggling to implement a control tool on a warehouse and needed to get some fuel about what others have accomplished or what other organizations have implemented with success. 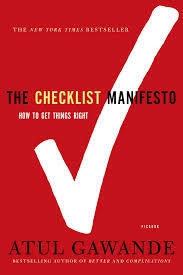 The Title, The Checklist Manifesto was for me, intriguing. As I have stated on other posts, my background is on the Manufacturing Side, so I remember that once I ran an experiment to try between different tools and demonstrate, with data, which one was the most effective to avoid mistakes. Checklist, was the last tool. Which in my studio meant that it was the least reliable tool of all. Because usually we all start with great enthusiasm using it, but eventually stop doing it, and obviously, doesn´t work anymore. In my studio, a better tool would be a poka yoke, or an error proofing. Andons, proved to be more effective than Checklists, so my curiosity grew. What can a surgeon teach me about how to control a process? I asked my self. Also thought that when there is stagnation in one´s mind, anything out of the box, could lead to pretty good ideas. So I gave it a shot. Glad I did, the book was a revelation to me. Not because it was a bout checklists, but because it was well written, sometimes looks like I was reading a novel instead of a book about check lists and because If you read carefully, will find elements from Lean that, I don´t think were put there intentionally but In Dr. Atul Gawande may lie a lean thinker, and I´m not sure he is even aware of it. The chapters will get you in a instant. From the description where a patient almost dies in a hospital because some extraordinary situation at the beginning of the book, to the story where Dr. Gawande almost kills a patient and how his Checklist helped him to save the patients life. There are also good episodes about flying complications and how aviation uses Checklists to control the uncontrollable, or to expect the unexpected. In one chapter Gawande, writes about how flying in poor weather conditions (extremely cold conditions) may lead to ice in the gasoline (or should I say turbosine). This small issue may lead to one potential catastrophe, as one of the engines would not receive enough fuel, and fail. How should captain and first officer handle an issue like that? With a Checklist, Dr. Gawande should have answered. The book isn´t about Checklists. I believe the book talks about Standard Work and how Standard Work helps any industry, from aviation, to construction to health improving the way they work on a daily basis. The book is really about Standardization and describes the discipline to follow procedures. 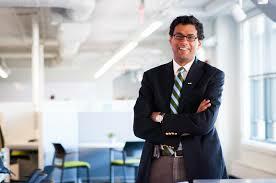 In it, Dr. Atul Gawande gives great examples. Like the terrifying case, that happened a few years ago, where an US Airways flight had to land in the Hudson River. In that case, Dr. Gawande, examines how a goose strike had the plane lost both engines, forcing Captain Sullenberg to land on the icy waters of Hudson. This January, was five years from that "lucky" event. As I was explaining, Dr. Atul examines and concludes that it was due to the exceptional discipline of captain and his first officer, that this miracle was possible. There is no surprise, Standardization requires a great degree of discipline to make sure we stick to the procedure. And often, the results are surprising. That´s why in my studio Checklists didn´t work. But to me, the book talks more about why is Standardisation needed. I believe it is first of all, because it helps to stabilize any process. Removes variation from it. Sets the ground for improvements. Not easy, but the benefits outlooks the sacrifice. I believe this is why, the captain following the procedure, was able to land on Hudson River. Also, the process was really robust and helped the captain to get a good result. In the Book you will read about Dr. Atul´s attemps to set up a checklist for his operating room, and how experimentation was vital, and allowed innovation. This is key. This is really what Lean is about. Experimenting, learning and evolving. This is really what Lean is about. Experimenting, learning and evolving. The other nice part that I found in this book, was when Dr. Atul tells how he joined an organization to improve safety across different hospitals in the world. That story reminded me, the old one about the Toyota Sienna development for the American market. I found similarities in the way Dr. Atul went to Gemba and visited the hospitals that would implement the Checklist. How he saw the problems each hospital faced and how each hospital adopted the Checklist, twisting a little bit, to make it fit to each organization, talks about experimentation, learning and improvement. I´m sure there are other details that I forgot to mention, but this two principles are so clear in the book. So I urge you to read it with fresh eyes. My advice is to read it and see if you can identify some other similarities to the ones explained here, and why not, comment weather or not agree with this review. Thanks for reading, If you liked this post, share it. Or leave a message below.